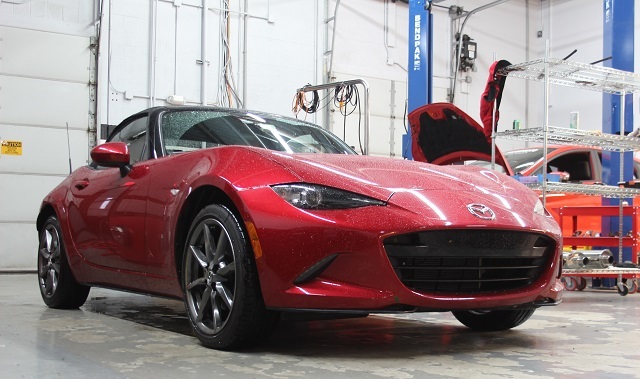 If you read our blog, you’ll remember a short while ago that we did a quick dyno test on a brand-new, fully stock 2016 Miata ND. That’s not all we had planned for this little roadster. We put our Engineers to work on upgraded intake. Take a look behind the scenes and follow our progress as we bring our intake design to life. Mazda has pulled out all the stops for this brand-new MX-5. Auto manufacturers rarely make the next generation in a specific vehicle line lighter in weight. With the rapid increase in advances in technology and the demand for more safety features in new vehicles, there is little doubt that the next generation of a model will be heavier. Not the case here! The current US-released version of this 2016 Miata ND has a curb weight of around 2,332 lb. Compared to the previous-generation NC that weighed around 2,498 lb, this model has shed about 166 lb! 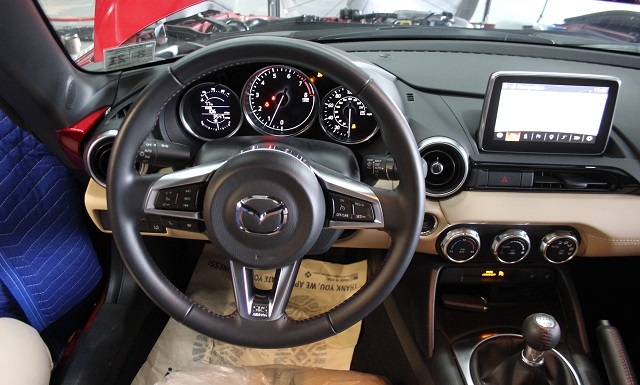 Although this ND generation of the MX-5 has a lower horsepower rating (155 hp at the crank) than the NC, it is actually a faster car due to the weight loss with the 2.0L SkyActiv motor. North American drivers enjoy a slightly more powerful version of the car than its 1.5L global counterpart. Also, the engine sits close to an inch farther back into the bay than its predecessor. This creates a deeper seat position, but the hood now sits lower, keeping forward visibility optimal. New Miata upon arrival at the Mishimoto garage! Engine sound is a pretty important aspect upon purchasing an intake. One of the main goals of any intake design is to improve how your engine sounds when stepping on the gas pedal. Ultimately, this is exactly what we want to see whilst designing this Miata intake. 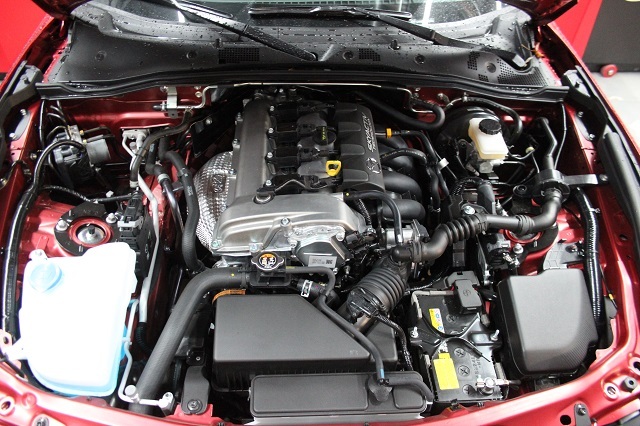 We want to provide you with an intake that really brings out the true sound of this 2.0L engine. The engine bay for this car is compact. Upon popping open the hood, the intake is one of the first things you lay your eyes on since the box sits right near the front core support. We want to capitalize on the opportunity to make one cool looking product that will immediately draw your attention to it when looking under the hood. 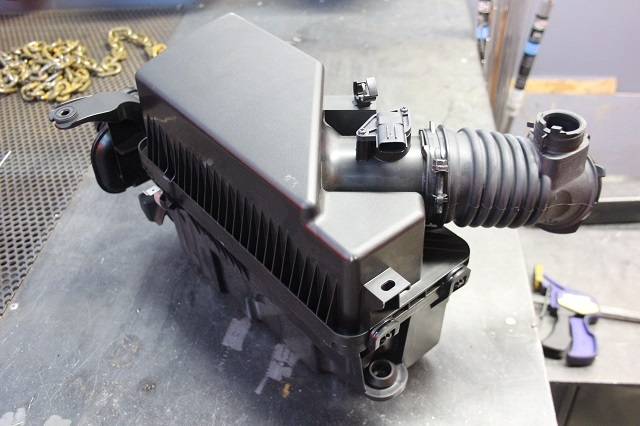 Having an awesome-looking intake box stands out and it’s important that we give that to our MX-5 community. 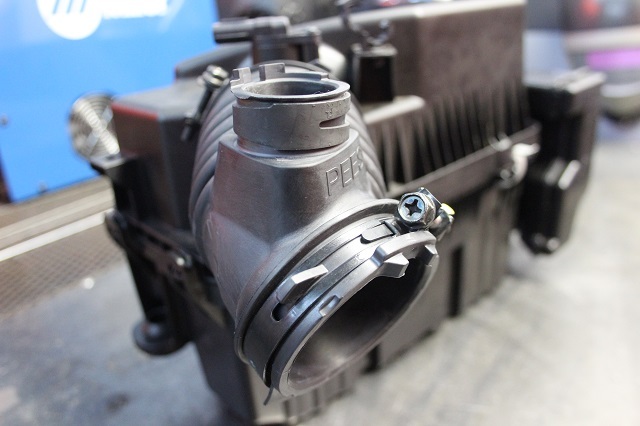 Performance is also a clear prerequisite for any aftermarket intake system. The history of the Mazda Miata has focused on the pure feel of a pure driving machine, with power not being a major factor. I assure you horsepower gains are important to this Miata intake design, but the driving feel for this car is just as important. Our Miata intake design plans to further improve the already peppy throttle response found from this engine. The new Miata air intake system is fairly standard. One feature that is becoming pretty common on new sports cars is an induction tube or sound enhancer that is set somewhere on the stock intake. It is supposed to enhance the sound of the engine in the cabin. You can see an up-close shot of it below. 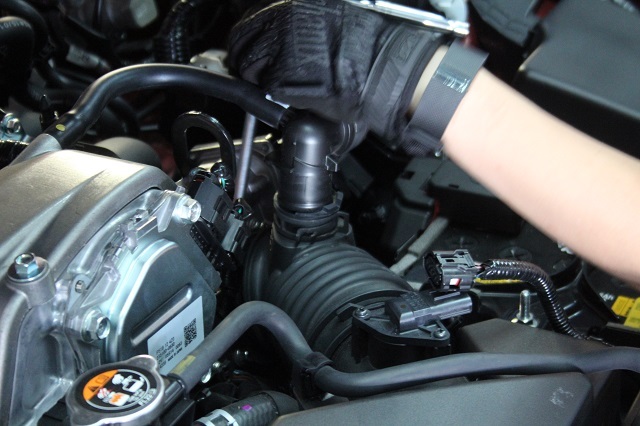 Many consumers choose to remove this component if they plan on upgrading their intake system, because the induction tube can sometimes rob power. We will do some testing to see if this sound tube has any impact on power. 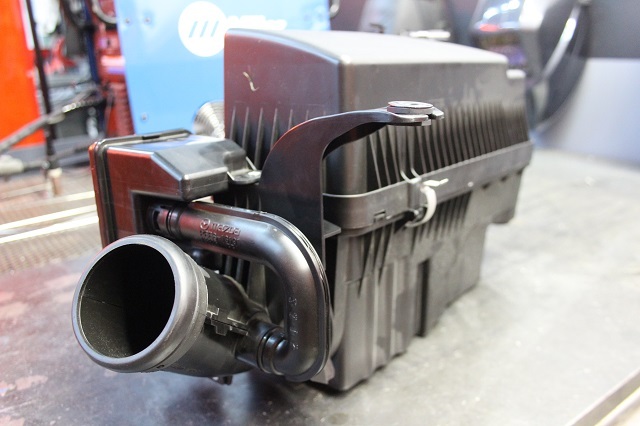 This Miata intake tube coming from the throttle body measures to about 2.75 inches in diameter, the same as the air scoop inlet tube. 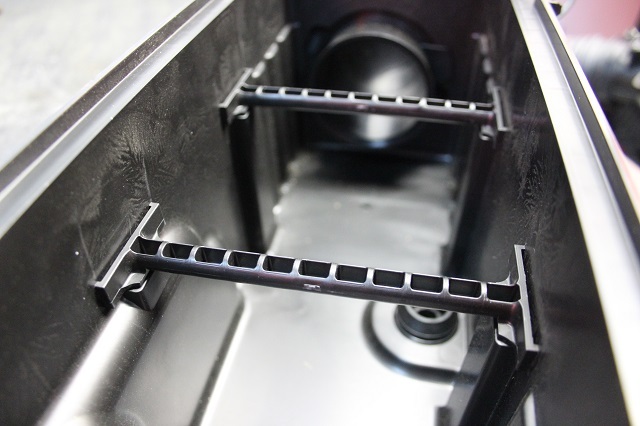 This system also makes use of a resonator, which is there to help with sound suppression and pressure stabilization. It is attached to the air scoop inlet. Check out some shots below! 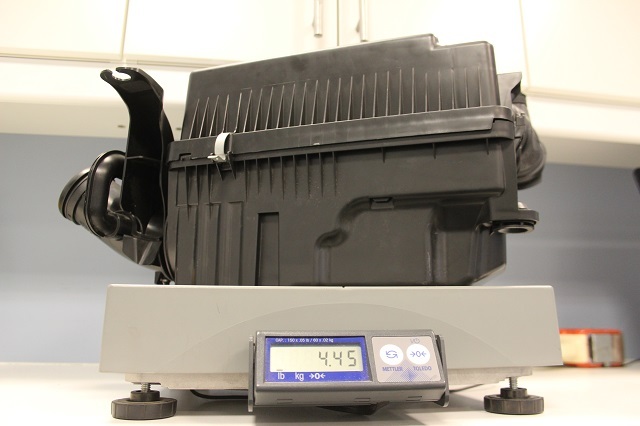 No post about the R&D behind an upgraded Miata part would be a complete post without mentioning something about weight! That’s right, we weighed this system so we can get an exact idea of how we want to design our intake. This brand new Miata air intake with everything in and on it (excluding the induction tube) weighed in at exactly 4.45 lbs, which is pretty light! 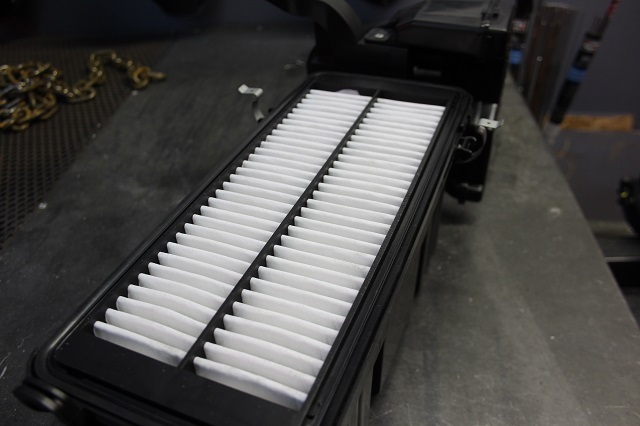 Here are some images of the interior of the box, including the filter. You can see exactly how airflow is directed from the front of the car to the intake tube. Stay tuned and watch the progress as one of the first companies in North America begins to publicly document some R&D for a brand new Miata intake!